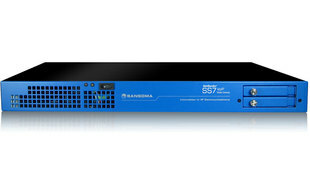 The NetBorder SS7 VoIP gateway appliance is a cost-effective, turnkey solution offering 4 to 32 T1/E1 lines (Up to 256 T1/E1 lines can be achieved by stacking NetBorder SS7 gateways) at a single point code with powerful transcoding capabilities. This product is ideal for applications such as connecting a private branch exchange to the legacy telephone network or providing multiple points of presence to a VoIP network. The GUI provides convenient access to most configuration, monitoring and management functions, while a command line interface provides full access to management functions with a minimum of bandwidth consumption. 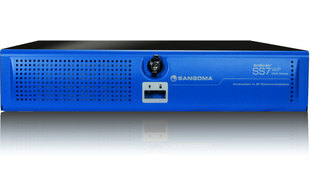 Support is offered by Sangoma engineers. Whether you need technical support, software maintenance, training, consultation or installation services, Sangoma can help you. Contact your Sales representative at ProVu for more information.